By Tom Phelps, Vice President of Engineering, Quintech Electronics & Communications, Inc. In today’s environment, C4ISR organizations continue to face ever-increasing demands for bandwidth and data processing. The need for increasingly complex and evolving interconnection for the global community is driving the proliferation of increased data transmission and RF communications. At the same time, pressure to manage operating expenses and increase energy efficiency at communications facilities is as important as ever. The DoD spends $4 billion a year of its total energy bill of $18.9 billion1 on the energy to power its fixed installations2, managing over 500 installations worldwide in nearly 300,000 buildings. Industry leaders are looking to a new generation of RF switching products for satellite communications installations to slash electrical power consumption, cooling, and space requirements while expanding operational flexibility and performance. Integral to a modern RF communications facility is an RF matrix system that provides flexible on-demand routing of RF signals. The currently installed base of older, large-configuration legacy RF matrix switching systems require miles of coaxial cable and thousands of watts of power to operate. These older systems are very labor intensive to install and maintain and occupy large areas of valuable rack space. 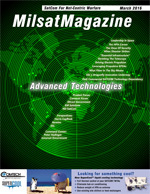 The next generation of L-band matrix switching products offers exciting opportunities for Network Operation Center (NOC), Command and Control Center, Earth Terminals, Monitoring Facility and related C4ISR agencies to expand capabilities while dramatically reducing the technical space and power consumption. Quintech Electronics & Communications’ XTREME 256 Port L Band matrix defines the next generation of L-band matrix switching products. “We believe that this is an exciting opportunity now for C4ISR organizations to refresh legacy L-band matrices with the XTREME 256 technologies. It greatly increases operational capabilities while vastly reducing power requirements, cabling and rack unit footprint,” said Frank Elling, President of Quintech Electronics & Communications, Inc. The Quintech XTREME 256 and XTREME 256-C matrices feature 256 port connections in a compact 12U chassis. The XTREME 256 delivers full fan-out (splitting) non-blocking L-band signal management where any input can be routed to any or all outputs, while the XTREME 256-C delivers full fan-in (combining) where any or all inputs can be routed to an output. This complementary pair of RF switches takes reliability, redundancy, resilience, and flexibility to the next level while achieving industry exclusive gain flatness over the entire frequency band for maximum RF performance. 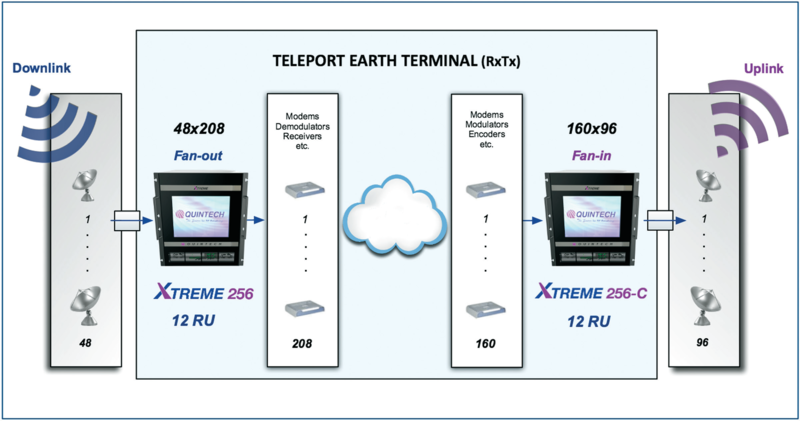 The XTREME 256 technology allows the user to minimize rack unit space requirements with its highly scalable packaging and exclusive (patent pending) flexible matrix architecture. This architecture supports a large variety of symmetric or asymmetric configurations such as 64x192, 192x64, or 128x128, all in a single 12U chassis. In addition, having both splitting and combining matrices supports and completes the needs of the modern teleport for both downlink and uplink signal management. Unlike older large configuration legacy matrix switching systems that require miles of cable and large power consumption, the XTREME 256 liberates the legacy system’s rack unit footprint by as much as 75 percent and the number and length of cables and connections by up to 97 percent, all contributing to enhanced RF system performance. By using built-in splitter/combiner port technology, the XTREME 256 can offer system sizes such as 96x416 or 256x256 without the use of external splitter/combiner modules, saving additional valuable rack space. Multiple simultaneous matrix control options are available. Local control is provided with an integrated 15” touch-screen monitor on the front panel. The embedded GUI web browser interface provides a simple method to manage the switch or check status, while SNMP and a command protocol via TCP/IP round out the options for remote control over Ethernet. Fast cross-point reconfiguration and signal switching times are facilitated with separate controllers for the GUI interfaces and internal switch configuration control. The XTREME 256 matrices were designed from the ground up to provide outstanding reliability and resilience, starting with a passive backplane and front to back cooling. All active cards, fans, and power supplies are hot-swappable and easily accessible from the front panel. This enables fast and easy replacement without requiring special tools or disconnecting cables, greatly simplifying and reducing labor and maintenance time while maximizing productivity and uptime. Resilience is enhanced with redundant fan trays and power supplies, while redundant control cards with independent Ethernet connections offer the highest level of redundancy in control. Built-in test signal generation and self-test diagnostics (BIST) allow a fault to be immediately identified, isolated, and corrected. By delivering expanded RF capacity and flexibility, freeing up critical rack space, and slashing power consumption and total-cost-of-ownership, The Quintech XTREME 256 fan-out and fan-in matrices have become the L-Band signal management system of choice for a growing number of facilities. 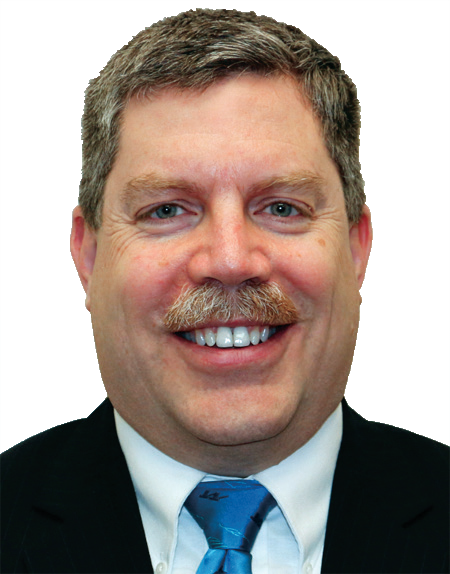 Tom Phelps is Vice President of Engineering at Quintech Electronics & Communications, Inc. Mr. Phelps earned his BSEE from Michigan Technological University. He began his career with the United States Department of Defense and has been with Quintech for more than 15 years. For more than 15 years, Quintech Electronics and Communications Inc. has been manufacturing RF matrix switching systems for government and military requirements. 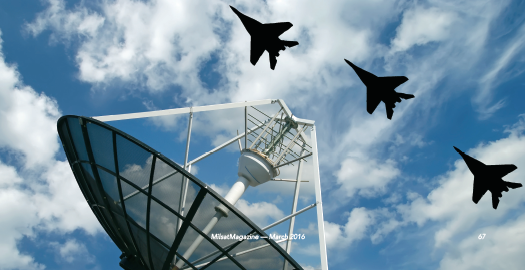 Globally, our products are integral to C4ISR applications such as; satellite earth stations and terminals, command and control centers, and maritime satellite communications. Custom RF designs allow for reliable modular and high-density signal management solutions. Quintech RF matrix switching systems provide optimal signal performance while handling high RF input power levels while providing industry leading gain flatness. Quintech manufactures the world’s largest configuration L-band matrix switching systems. Our full suite of RF products and solutions are utilized in critical earth station communications environments worldwide.